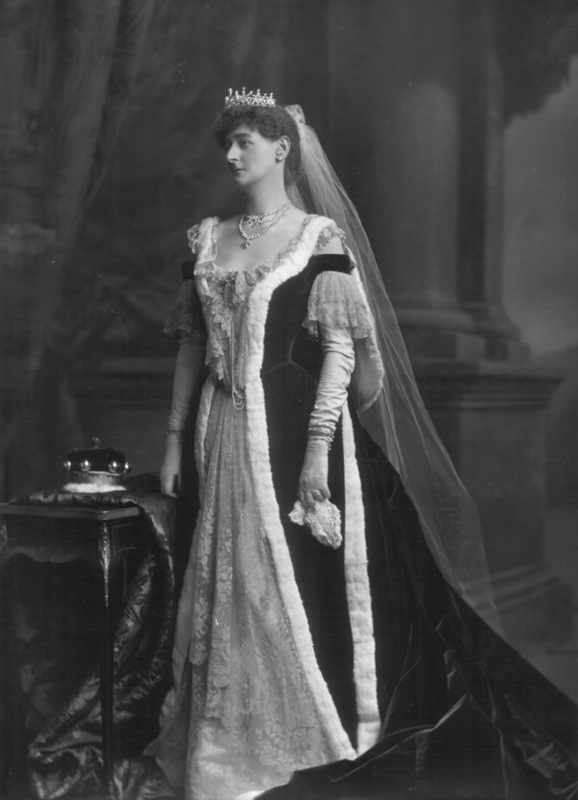 Agatha (Manners), Baroness Westbury (1857-1941) née Tollemache. Sitter: Agatha (Manners), Baroness Westbury (1857-1941) n�e Tollemache. Biog: Daughter of William Tollemache, Baron Huntingtower; m. (1882) 3rd Baron Westbury. Costume: Coronation robes of a baroness; kirtle panel of point d'Alen�on lace. Costume: The Court Journal, 16 August 1902, p 24a; Madame, 16 August 1902, p 328b; The Queen, 16 August 1902, p 257b.